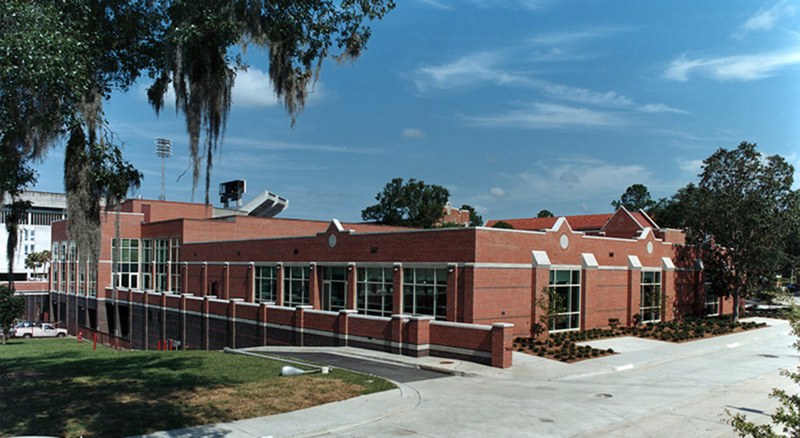 The Recreation and Fitness Center is located on a relatively small site between the Florida Gym (circa 1974) and the original Gym (circa 1918). The design goal was to create a quality environment to enhance the social aspect of fitness, while maintaining the historic nature. A major function of the Recreation Center was to connect the pool, the older gyms and the existing recreational resources in a manner that provides security, control, handicapped accessibility and maximize their function within the campus community. The complex is actually two buildings, each dedicated to a specific purpose. They are connected with arcades on north and south faces and separated by a landscaped open space bisecting the site. The facility houses aerobic dance studios, classrooms, two squash courts, and a weight training room. 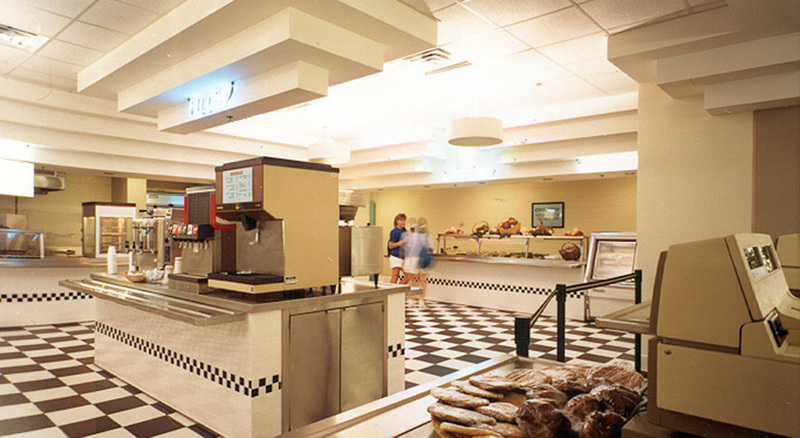 Also included were complete food service facilities and a 350-seat dining hall.